Why E-Bikes ARE Good for Health! Written by: Veronica Reynolds, the sustainable mobility advisor at Milton Park and an exercise physiologist and psychologist. When I first started promoting walking for health 20 years ago, we faced a large amount of opposition from exercise professionals arguing that walking ‘was not intense enough’ to elicit physiological health benefits. Fortunately, the evidence base to contradict this argument has grown significantly since then and walking is now deemed ‘the perfect form of exercise’i. We have now recognised that ‘lowering the bar’ and making exercise more accessible is the only way we will turn the tide in the decline of physical activity we have seen over the past few decades. E-bikes are facing similar criticisms that they do not count as exercise. The reason for the paradigm shift is the recognition of the extent of the effect that our sedentary lifestyles are having on health and the fact that walking is an easily accessible form of activity that can be built into our busy everyday lives. Exercise can only convey benefits if it is performed regularly. A person’s exercise of choice should be one they can maintain and stick with on most days of the week. The current recommendations from the World Health Organisation state that adults should be active for 150 minutes a week at a moderate intensity. (Children should clock up 60 minutes of activity daily.) For more than 80% of the population, that moderate intensity can be achieved with walking, household chores, gardening or light cycling – all things that can be integrated into everyday livesii. More than 50% of people drop out of gym-based exercise programmes within three monthsiii The benefits of exercise cannot be ‘banked’. Without adherence, an exercise programme is futile. There is an increasing and alarming amount of evidence showing the detrimental effect of being sedentary, i.e. sitting for prolonged periods of timeiv. Official Government guidelines in several countries now include advice on reducing sitting time. Anything that gets us moving, at any intensity, will help to counteract the deadly effects of sitting, even if it is just walking to another office to speak to a colleague in person rather than sending an e-mail. In an attempt to reduce my own, increasing, sedentary behaviour, I had been considering cycling to work (a distance of around 15km) for some time, but I knew that finding the right bike was key. I suffer with chronic neck pain which is exacerbated by the traditional ‘sporty’ riding position of most bikes. I knew I needed a more upright configuration and thus it was this riding position which attracted me in the first instance to the e-bike in question. The electric motor element, I subsequently realised, would be the difference between me buying a bike which would sit in my garage most days and actually putting my cycling commute into action! I proudly posted a photograph of my new e-bike on Facebook which prompted my ‘MAMIL’ (Middle-Aged Men in Lycra) friends to post comments saying that surely an e-bike was ‘cheating’, prompting me to investigate further the physiological benefits, if any, that I could expect. I should preface this by saying that as a new convert to e-bikes there may be a certain element of bias in my views. Equally, this has helped inform my conclusion that e-bikes have an important part to play in helping get to people healthy. A trawl of the evidence-base reveals very little of the potential health benefits of ebikingv, against a monumental amount of evidence on the health benefits of cycling generally. In the Netherlands, sales of e-bikes now match those of ordinary bikes. In Germany, 1 in 10 bike sales are e-bikes. The e-bike industry is reporting strong growth across the board.vi A few studies have hinted that e-bikes may result in lowering fitness levels in the population. However, this theory is contradicted by Simons & Hendriksen (2009) vii who conclude that the energy expenditure on an ebike is sufficient to elicit population health benefits. The benefits of cycling for transport are well documented: more people cycling = less people using their cars for short journeys = reduced congestion = reduced carbon emissions = improved air quality. Improved air quality obviously has a health benefit in itself and, arguably, if cycling is less stressful than sitting in traffic, then that would also result in health benefits to the individual. There are also the numerous economic and climate benefits from switching from fossil fuels to pedal or muscle power which I won’t go into here. Getting the inactive active is no easy task. The gap between the super-fit (aka my MAMIL friends) and the inactive is widening and many inactive or overweight individuals are put off by the thought of trying to compete with them, with the result that they end up doing nothing. Fitting exercise into our busy lives is becoming increasingly difficult. However, active commuting has shown real promise as a policy to increase activity levels, with most of us travelling to work or to school on a daily basis.x For many, however, the distances between their home and place of work may be just too great to consider walking or cycling. E-bikes have the capacity to make longer distances achievable and the ability to make the earth flat. My own commute to work consists of a 8 km flat stretch, followed by a steep downhill, another 3 km flat stretch and a final incline for the last 1.5km. A total distance of 15.5km. Fine on the way there… on the way back however the steep hill would, for my current fitness level, involve pushing a bike for a tortuous, painful 3 km up a steep slope. But with my e-bike, it’s a breeze! I have searched for academic papers on the energy expenditure during e-biking compared with traditional cycling, but with very few results. I did find a paper on the use of e-bikes for cardiac rehabilitation, which makes complete sensexi. Cardiac rehabilitation requires a patient to exercise at a particular intensity, with gentle incremental increases in effort, keeping the heart rate steady and avoiding overexertion. Possible with an e-bike, less so with a normal bike if cycling on undulating terrain. With an n=1 (me!) I have conducted my own experiment and monitored my heart rate on my commute to work. For the first 5 km, I have my e-bike on the lowest setting. The terrain is fairly flat, but I pedal at a steady pace, achieving a steady heart rate of 109 beats per minute. For me this is around 66% of my maximum heart rate: the optimum ‘training zone’ for aerobic activity. I sustain this for around 20 minutes. My heart rate drops to 87 bpm during the downhill and then back up to 110 bpm for the final 10 minutes. This effort is equivalent to 30 minutes brisk walking. On the way home, my average heart rate over 40 minutes is 113 bpm. The highest maximum heart rate achieved was 126 bpm for 3 minutes. This equates to an average of 6 calories of energy expended per minute. 5 calories per minute more than if I were sitting. Over a week of commuting to work on my e-bike, this mounts up to around 3,000 calories of additional energy expenditure. This is consistent with Simons & Hendriksen’s findings. If I had my e-bike constantly on the high setting, my heart rate would of course be lower, but the reality is that most of time the pedalling is not such an effort that I feel the need to go into high mode. The alternative is a 47 minute (often much longer), sedentary drive to or from work with all the cost, stress and uncertainty that, through our over-reliance on the car, we have sadly become accustomed to. Most e-bikes rely on a degree of input from the rider, requiring a constant pedalling motion, even if at low intensity. Joints in the leg, foot, ankle and hip are constantly being mobilised and, just like the cogs in an engine, are less likely to seize up if used regularly. Joint mobility is a key component of physical fitness and is always included as part of any effective exercise regime. One other key benefits of cycling is the effect it has on balance. I notice how after the first few times of using my new bike, I could feel my core muscles had worked harder than they were used to. Cycling, at any intensity, engages the core muscles in the abdomen and the back and employs our vestibular, proprioception and visual systems: things that enable us to balance whether cycling or standing. Balance helps with neuromuscular coordination and posture and balance and coordination exercises are recommended for the prevention of brain degeneration in diseases such as Alzheimer’s and Parkinson’s. Balance in itself is an important cornerstone of overall physical fitness. In my quest for more evidence about the health benefits of e-bikes I have spoken to three retailers who have given me story after story about their clients that suggest that e-bikes do not deserve some of the bad press they get about reducing exercise levels by converting existing riders to a lazier way of getting around. Many purchasers of e-bikes are those who have sustained injuries or, like me have chronic back conditions that make normal cycling painful or uncomfortable. One retailer told me of a customer who, because of her arthritis, had had to give up cycling as she no longer had the power to start cycling on a small hill. Her e-bike gives her that little bit of power-assist she needs as she starts off and has restored her confidence in cycling in traffic, secure in the knowledge that she can quickly pull away from a potentially dangerous congested road. So, there is a strong argument that, rather than take away people’s ability to get exercise from cycling, they are enabling people to maintain some level of activity when the alternative would be a sedentary journey. Another key benefit I am enjoying during my rides to and from work is the connection it is giving me to nature. I am fortunate that my ride takes me through some beautiful countryside. There is a growing body of evidence that states that ‘a daily dose of nature’ is good for healthxii. It can reduce stress, reduce blood pressure and improve our overall sense of well-being. Perhaps though a better way of measuring the benefits of e-bikes would be as $/£ spent by calories expended. We cannot ignore the issue of affordability when it comes to e-bikes. They are undoubtedly more expensive than conventional ones. But I know many people who have expensive bicycles sitting in their sheds, unloved and unused after the first few days. The joy (and reduced pain) of e-biking means that people are much more likely to actually use the bike. Although their energy expenditure on a comparable journey on a bicycle would be lower, their overall energy expenditure over say a year would, I am sure, be much higher, simply by virtue of the fact that they have used their e-bike more and for longer. Buying an e-bike is a significant investment. There is a powerful theory in psychology that compels human beings to defend an action to which they have committed significant resource or energy. It is known as Sunk Cost Theoryxiii. But it does mean that following a significant investment in something such as an e-bike, the user is much more likely to continue to use it more and for longer. 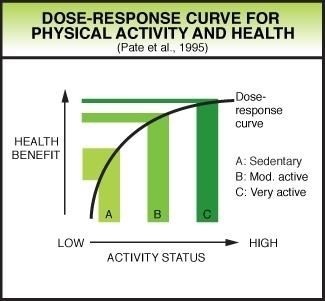 This will lead to the sustained benefits that only come with continued and regular participation in physical activity. I have certainly found this to be true since owning my e-bike – I want to use it and show it off everywhere I go! But perhaps we should just measure the smiles as an indicator of well-being and health. I challenge anyone who tries an e-bike for the first time not to smile! It brings back all the joys of those first cycling experiences you will recall having when you were 11 years old when cycling seemed effortless and the sense of freedom and adventure it gave you filled you with joy. Lee I-M, et al. Effects of physical inactivity on major non-communicable diseases worldwide: an analysis of burden of disease and life expectancy. The Lancet 380: 219-29. Howell, A. J., & Passmore, H-A. (2013)The nature of happiness: Nature affiliation and mental wellbeing.In C. L. M. Keyes (Ed.) Mental well-being: International contributions to the study of positive mental health (pp. 231-257). Springer.